CRM gamification is a highly effective marketing strategy that draws people to your business. It does so by making interacting with the business entertaining. As a small business owner you are in the perfect position to take advantage of CRM gamification. After all, gamification is one of the best CRM marketing practices. Implementation of gamification strategies can pull people to your business and boost employee moral. However for it to be effective, you must implement the most effective strategies. 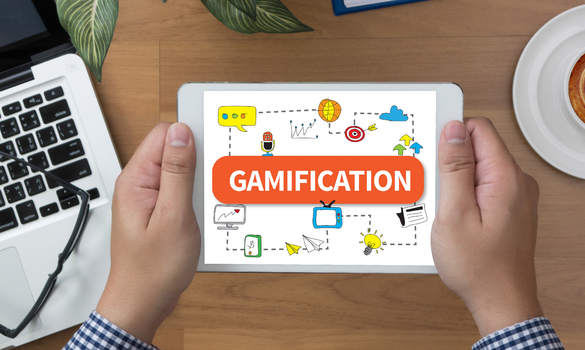 This post will show you five CRM gamification strategies that will improve your marketing. To implement CRM gamification in a meaningful way you must convince your customer that preforming a behavior you desire will be rewarded. This convinces customers to market your business for you. A simple way to implement this is to offer points that a customer earns as they inform their friends and family of your products. These points can then be redeemed by the customer to make purchases after they have gained enough points. Use listening tools to understand what consumers want to be rewarded with. By introducing new people to your product this will demonstrate the effectiveness of the gamification strategy. Gamifying more of your customers’ experience ensures that they become repeat customers. When using gamification strategies, your customers are your marketers as well. It is important to have repeat customers. A gamified way to ensure that people continue interacting with your business is the implementation of loyalty rewards. This can take many forms.You can reward them based on amount spent in your establishment, number of visits, or length of membership. In a gamified marketing strategy you must reward people for frequenting your business . If you are attempting to use gamified marketing strategy the best tool that you have is your online community. Set up social media accounts with personality. Make your website as appealing as possible. Offer your customers the chance to make accounts that offer rewards and benefits for returning to your business. This all builds awareness of your business and helps you build a brand identity around it. When possible, you should make interacting with your product an actual game. Having your own website makes this easier. You can make finding products in your online store more game like. This ensures that people will spend more time on your website looking at your products. This form of gamification can serve as focused marketing because it targets customers already aware of your business. To improve your marketing strategies on your website even more, implement the best SEO tactics. Gamification draws people to your business. Customers who are rewarded for marketing your business draw more people to it. Giving your customers rewards for loyalty ensures that they continue to purchase your products. Building an online community increases the number of people your business can reach. Gamifying your product increases the amount of time people spend interacting with your business. Using these strategies in the workplace boosts employee moral and works as marketing for your company culture. These strategies increase people’s awareness and interaction time with your business. This demonstrates how effective they are as marketing strategies.